Six states and a union territory feed their people milk that does not meet the standards set by India’s food regulatory body at all. Jharkhand, Bihar, West Bengal, Odisha, Chhattisgarh, Mizoram and Daman & Diu are the “100 per cent non-conforming” states. In Delhi, 70 per cent of the samples failed the Food Safety and Standards Authority of India (FSSAI) test. Yet, the authority claims there is no danger in drinking the milk. On January 2, FSSAI uploaded on its website the summary report of a snap-shot survey it had conducted across the country. Results of the National Survey on Milk Adulteration, 2011, were startling, leaving the food authority facing a volley of angry questions from all quarters. “Most milk samples did not adhere to the fat and the solid-not-fat (SNF) percentages laid down in the Food Safety and Standards Act, 2006. They are sub-standard, but not necessarily unsafe,” it added. Of the 1,791 samples tested, 70 per cent were adulterated and did not meet the standards the Act sets. Nearly 14 per cent contained detergent, 548 had skimmed milk powder and 477 had glucose. Maximum adulteration—nearly 46 per cent—was because of SNF. Solids like vitamins, minerals and proteins are classified as SNF. Higher the SNF content better is the quality of milk, and therefore the cost. Traders add urea and carbohydrates like starch, potato powder, wheat flour, blotting paper, sugar and glucose which increase the lactometer reading. Packaged milk performed better than milk sold loose. With only 30 per cent non-compliance, samples collected from rural areas also fared better than urban centres. A trader, who claims to have stopped adulterating milk, says salt, detergents and glucose increase milk’s thickness and viscosity, and starch prevents it from curdling. Neutralisers like sodium hydroxide, potassium hydroxide, ammonia, carbon trioxide (carbonate) and other alkalis are used to increase the pH value of badly preserved milk. The immediate effect of drinking adulterated milk with urea and detergent is gastroenteritis. But long-term effects are far more serious. The adulterants irreversibly damage organs. According to the Indian Council of Medical Research, some of the adulterants can cause fatal diseases like cancer and heart ailments. Taking suo moto cognisance of FSSAI’s report, the Delhi High Court has asked the Centre and the Delhi government to explain why 70 per cent of the milk samples lifted from the capital were adulterated. They have been asked to submit their report by January 25. The food authority has now instructed big dairy houses to brand their milk correctly. 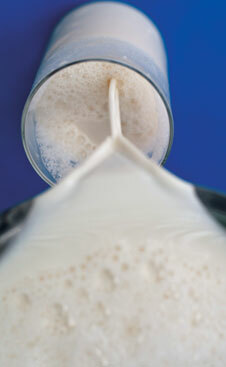 When added with skimmed milk powder or glucose, the milk should be labelled “reconstituted”. But skimmed milk powder has been added to milk for long to reduce its fat content, says N R Bhasin, president of Indian Dairy Association, which comprises milk manufacturers in the organised sector. “Called toned milk, it is not low in nutrition. Only its fat content is reduced by 1.5-2 per cent. It is not hazardous to health,” he adds. Adulteration can be hazardous only when milk is diluted with water contaminated by pesticides or heavy metals, says Asim Choudhary, director of FSSAI. The summary report states one of the aims of the survey was to identify common adulterants in milk—fat, vegetable fat, SNF, neutraliser, acidity, hydrogen peroxide, sugar, starch, glucose, urea, salt, detergent and skimmed milk powder. But it later claimed that it was not the commonly occurring contaminants they were targetting, but were reporting only “deviation from standard”. The deviation was found the highest—46.8 per cent—in fat and SNF content. Keeping the full report under wraps, the food authority has not yet disclosed the quantity of each adulterant found. FSSAI also stated that formalin, or formaldehyde, was found in some samples, but argued that “it is allowed for preservation”. Bhasin refutes the claim. Adding formalin to milk is against the law, he says. Known to be a carcinogen, the chemical is used for preservation and as a disinfectant. It is illegally used by adulterants to increase milk’s shelf life. FSSAI made one more change in its claim. The summary report stated that eight per cent of the samples contained detergent. It attributed presence of detergent to lack of hygiene and sanitation in milk handling and packaging. Within 10 days, the food authority increased the figure to 14 per cent. However, it did not explain the change. The FSSAI has passed the buck to the states. But the states blame the food authority for a half-baked report. FSSAI is responsibile for keeping a check on milk’s purity. It is, therefore, preparing an advisory for states to crack down on violators. But the states have no idea who the violators are. “They have not shared the report with us. We have no idea where they collected the samples from. The survey should have been sent to the states first,” says Ashish Kumar, designated officer, Food Safety Authority in Bihar. Slamming FSSAI’s claims, Kumar says they conduct regular checks but have never found detergent or urea. “Moreover, synthetic milk is found in Meerut and Ghaziabad, not in Bihar,” he adds. FSSAI is aware of it, yet did not collect samples from Meerut or Ghaziabad. Delhi, too, is disappointed with the report. “None of our samples had problems with either fat or SNF content,” says S K Saxena, Food Safety Commissioner in Delhi. “Nor was detergent or urea found in our milk. The samples had skimmed milk powder. This is added during summers when supply falls. The samples were collected in April and May. Skimmed milk powder is not hazardous to health,” he adds. About 90 per cent of Delhi’s requirement of 70 million litre milk is met by brands like DMS, Mother Dairy, Parag, Saras and Gopaljee. Yet, only five samples of the 50 collected were packaged milk, says Saxena. “The authority has created panic,” says Bhasin. The problem is with the unorganised sector, but that is not how it has been reported, he adds. “If clarifications are not issued soon, it will be a huge setback for the good milk production this year owing to good monsoon and winter,” he adds. (1)	Milk samples had been analyzed by the FSSAI / State Govt. Laboratories, which has not obtained NABL accreditation in the area of Milk analysis till date as mentioned in Section 43 of the FSS Act 2006. (2)	MOHFW rejected the Centre for Science & Environment report (published in 2006) on Pesticide residue analysis in Soft drinks (carbonated beverages manufactured by Pepsi & Coca-Cola) because CSE Laboratory was not accredited from NABL to conduct such tests. create the unnecessary panic in the country. 4	Various types of detergents are available in the market. Each group has specific method of analysis. From the survey report, it is not clear which method has been adopted for analysis of detergent. (Copy of Wikipedia is enclosed for ready reference). Hence the report of the presence or absence of detergent cannot be relied upon. Copy enclosed and marked as Annexure-IV. Assurance Programme, which is one of the pre-requisite for such type of National survey work to find out adulteration in the country. Even the method of sampling was not circulated before conducting all India based huge survey. (v) By the addition of any substance directly or as an ingredient which is not permitted. 7. It is observed that Vision of the Authority to prescribe Science based regulations/ standards in the FSS Act. On perusal, it is observed the regulations/ Standards are just copied from PFA and re-arranged as Regulations. Hence it is proposed that FSSAI may be allowed to conduct any survey in larger Public interest till guidelines for code of conduct for National Survey is finalized as recommended by the JPC (Joint Parliamentary Committee) in the year 2004.